So Beautiful CD [SBCD-10001] - $10.00 : Beneficial Zone, Everything is permissible, not everything is beneficial! 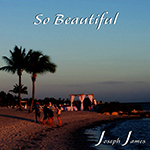 All of Joseph’s songs on this CD are either Live Performances or were recorded in his Portable Studio. He is currently pursuing having them produced in a professional studio. In the meantime, please enjoy them, be touched by the messages and pass on the links to others.